Obituary for James Wall, Jr. | Jones Clark Funeral Home, Inc.
Mr. James Wall, Jr., age 91, passed from this life on Wednesday, January 30, 2019 at approximately 6:40 a.m. at Lima Manor Nursing Home. He was born on April 26, 1927 in Greenwood, Mississippi to the union of James and Josephine (Washington) Wall, Sr.; both parents preceded him in death. He was united in holy matrimony to Patricia (Gilbert) Wall, who preceded him in death on August 7, 2014. He was previously married to Catherine (Edmond) Wall who survives in Lima, Ohio. Mr. Wall retired as a welder from Superior Coach. He loved cars, listening to country music, shooting pool and carpentry. He leaves behind to cherish his memories, 7 sons; Curtis J. Wall, Steve Wall (Gertrude), George Wall (Rita), Billy R. Wall, James Wall (Krisha), Nathaniel Wall (Marina) and Jacob Wall. 6 daughters; Patricia Wall, Brenda Guice (Jason), Yvonne Jones (Carl), Yvette Givand (David), Jessi Chapman and Cassandra Wall. 55 grandchildren, 76 great- grandchildren and 19 great-great grandchildren. A host of nieces, nephews and other relatives and friends who cherished and loved him dearly. 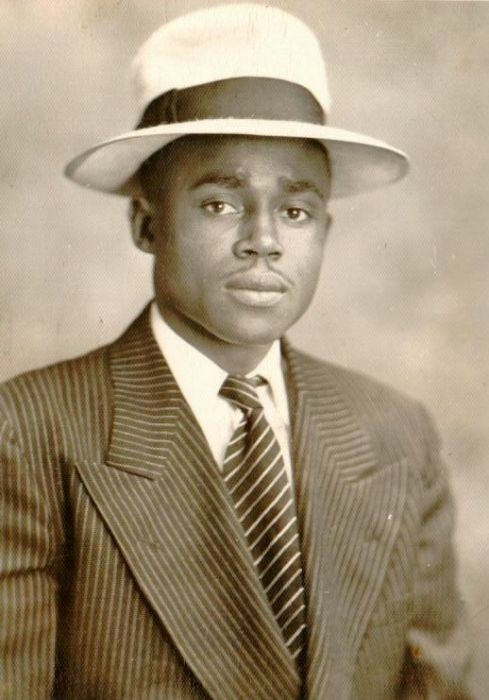 He was preceded in death by 2 brothers; Bliven Wall and George Wall, Sr. 5 sisters; Queen E. James, Ruth Pitts, Mary Reynolds, Esther Smith and Jessica Bratton. Home going services will be held Thursday, February 7, 2019 at 12:00 noon at Jones-Clark Funeral Home, Inc. with Rev. Charles Dupree, officiating. Visitation/Wake will be held on, Thursday, February 7, 2019 at 10:00 a.m. until time of services at 12:00 noon also at the Funeral Home.